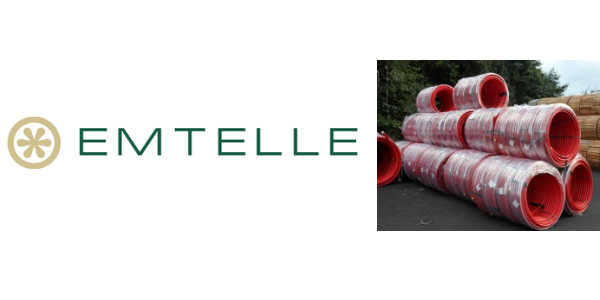 Emtelle Small Bore Coiled Service Duct PE is a solid wall supplied within an Integrated Management System, incorporating internationally recognised standards including ISO 9001:2008, ISO 14001:2004 and ISO 18001:2007. 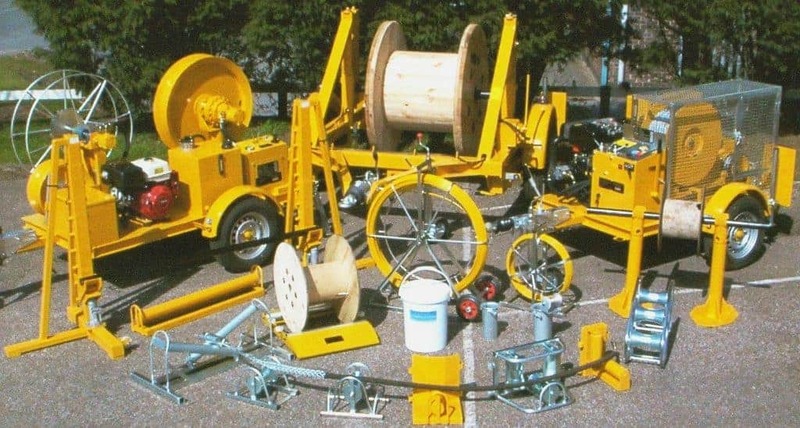 Small bore coiled service duct PE is primarily used for electricity service cable and is manufactured to comply with ENATS 12-24 industry standard. The cable duct is printed with standard markings, plus any additional information required by the customer, to give durability and traceability after installation. 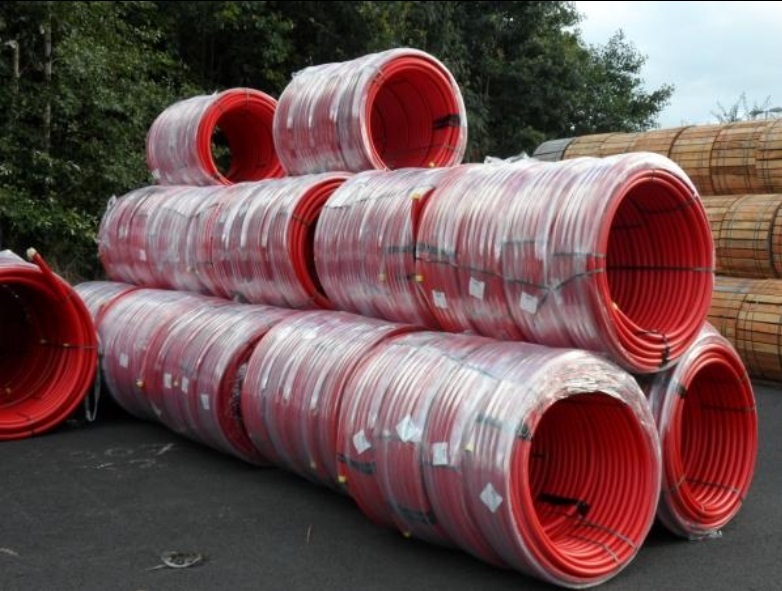 All duct sizes are supplied in individual coiled lengths; these coils are then packed together in groups of 4 coils. Selected PE is used during manufacture to suit the required properties of the finished product. Standard colours are Black & Red; other colours can be available on request. The table below shoes the nominal OD/ID, the individual coiled lengths of the coiled service duct PE and the number of coils in a pack. The coiled service duct PE forms part of Emtelle’s Powerprotect+ duct systems that are now specified for all major DNO’s within UK and Ireland including UK Power Networks, Electricity North West, Northern Powergrid, Western Power Distribution, Scottish Power Electricity Networks, Scottish & Southern Electricity, Electricity Northern Ireland and Electricity Supply Board Ireland. Emtelle cable duct provides underground cable protection to LV-HV cables, including UK DNO approved coiled service duct PE for 33kV high voltage power cable protection.